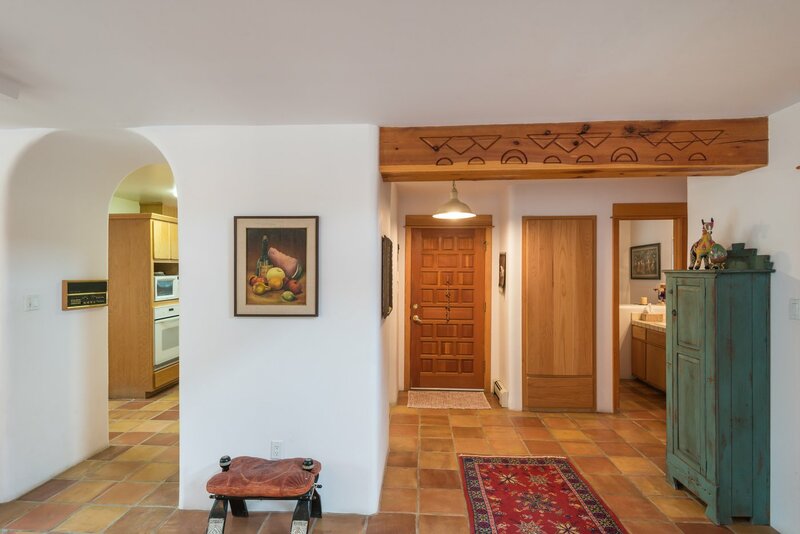 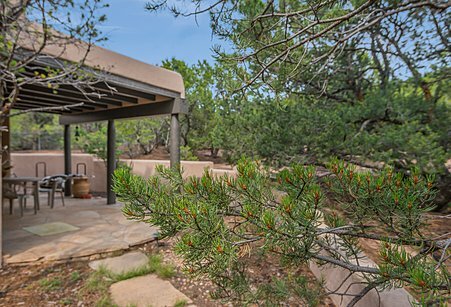 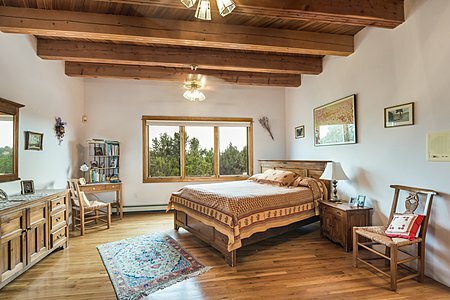 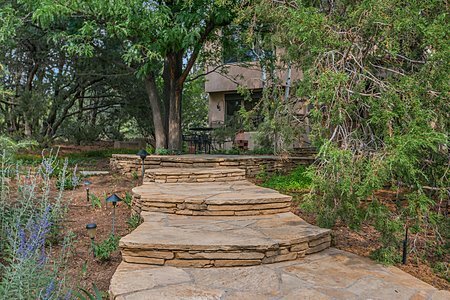 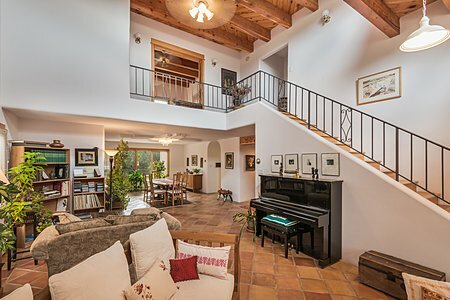 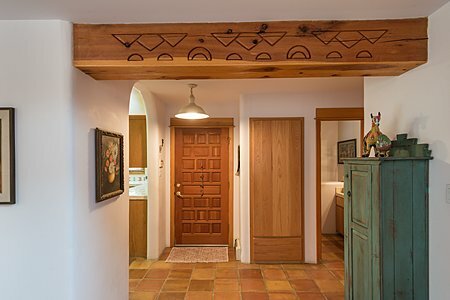 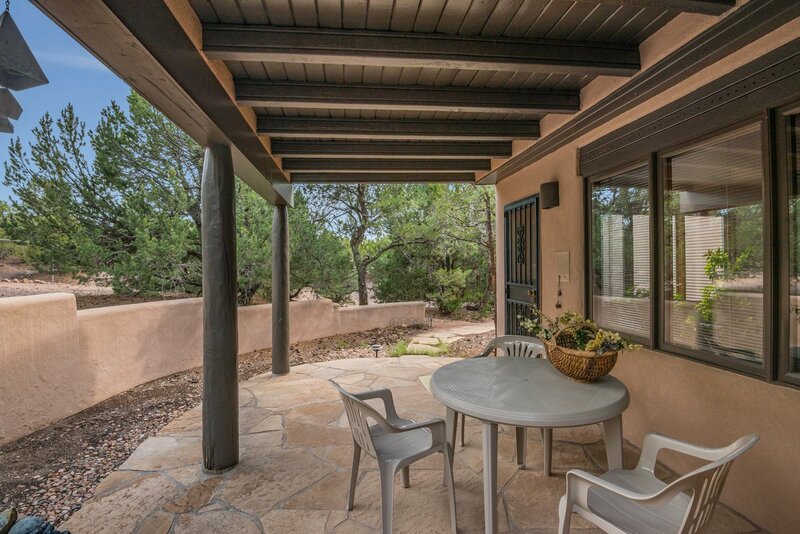 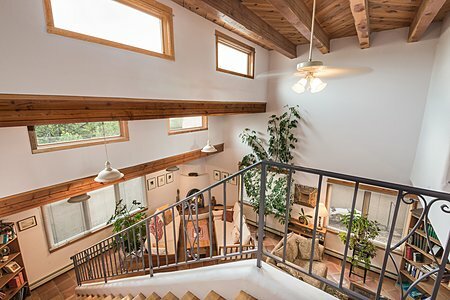 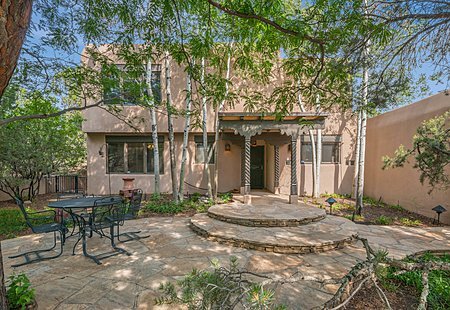 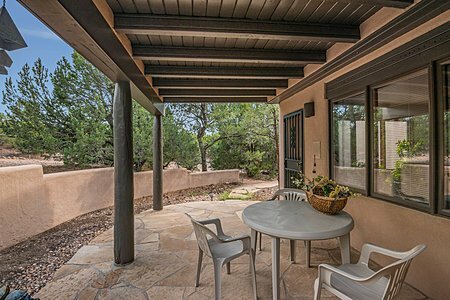 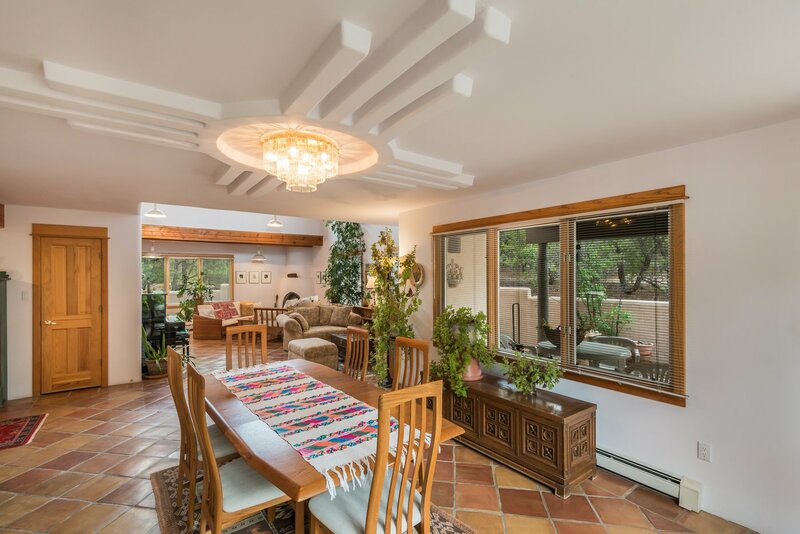 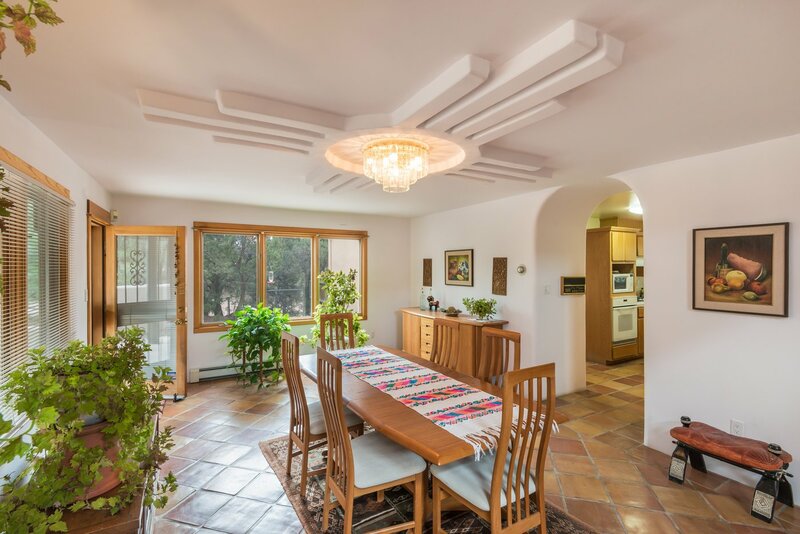 A beautiful custom home nestled in the trees in the prestigious near north side of Santa Fe. 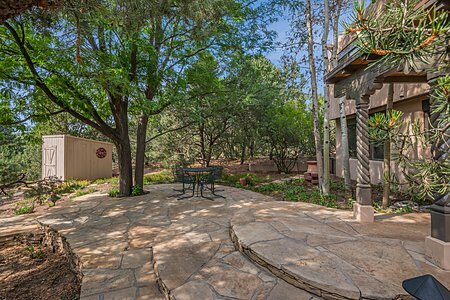 The lot is quiet and secluded with three off street parking spaces. 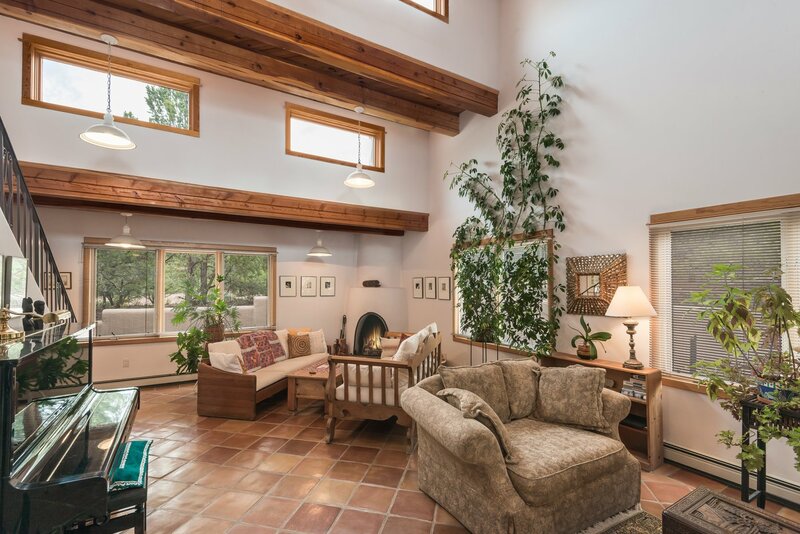 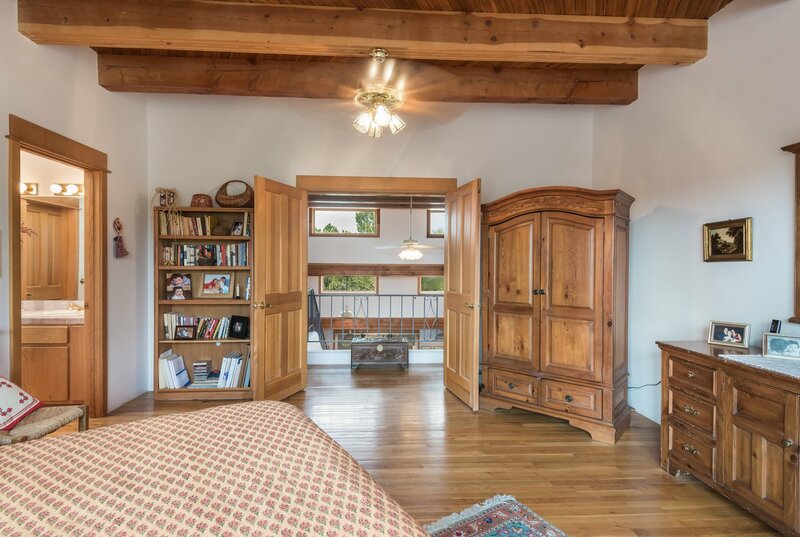 There is a soaring two story ceiling in the living room with carved beams and kiva fireplace. The majestic staircase leads to the master bedroom and full bath and a second large bedroom with a 3/4 bath. 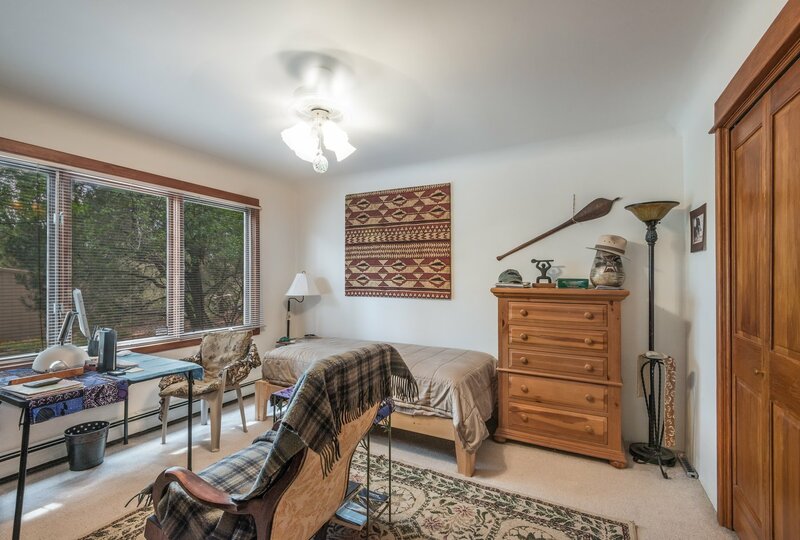 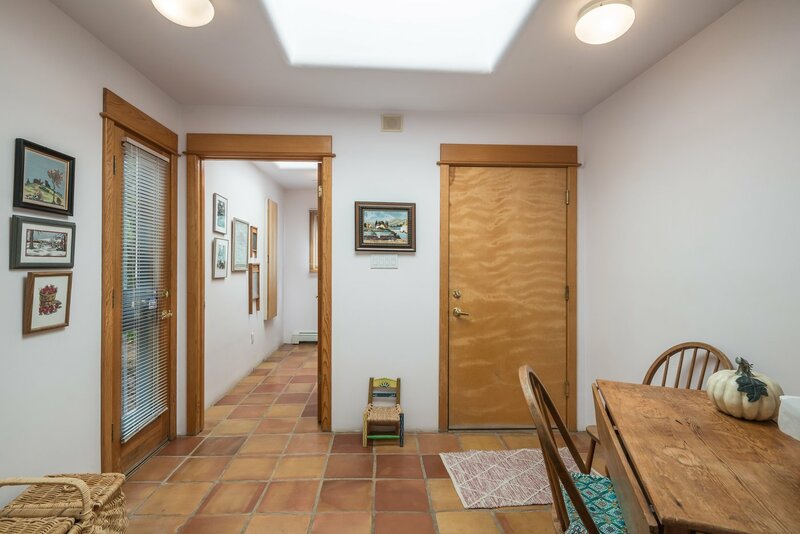 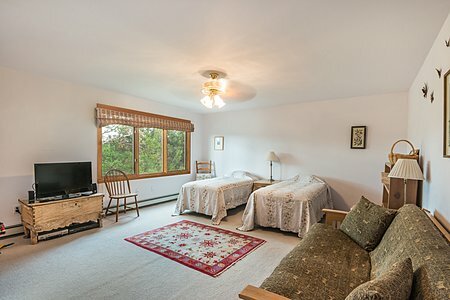 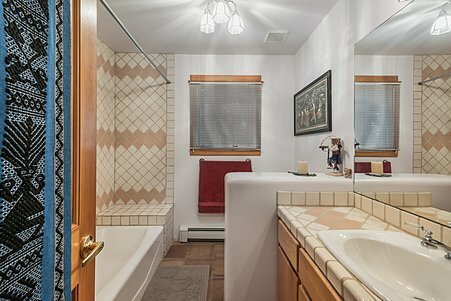 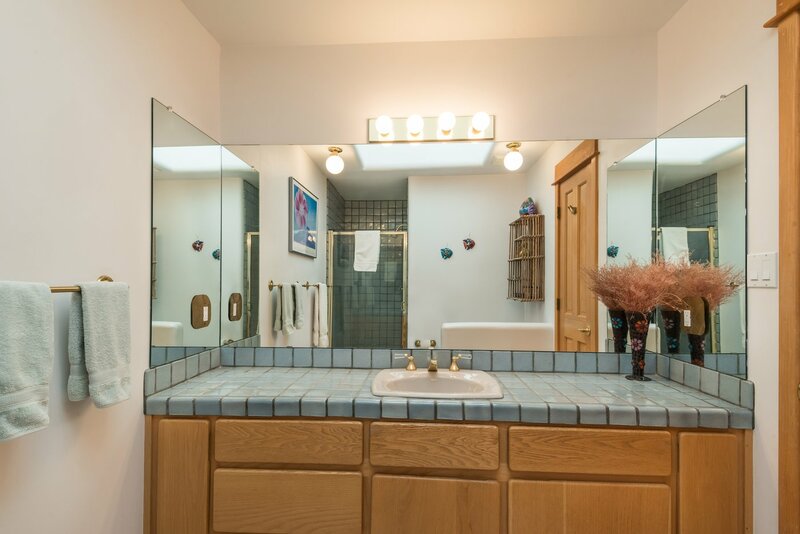 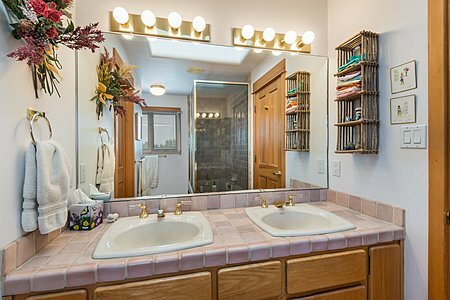 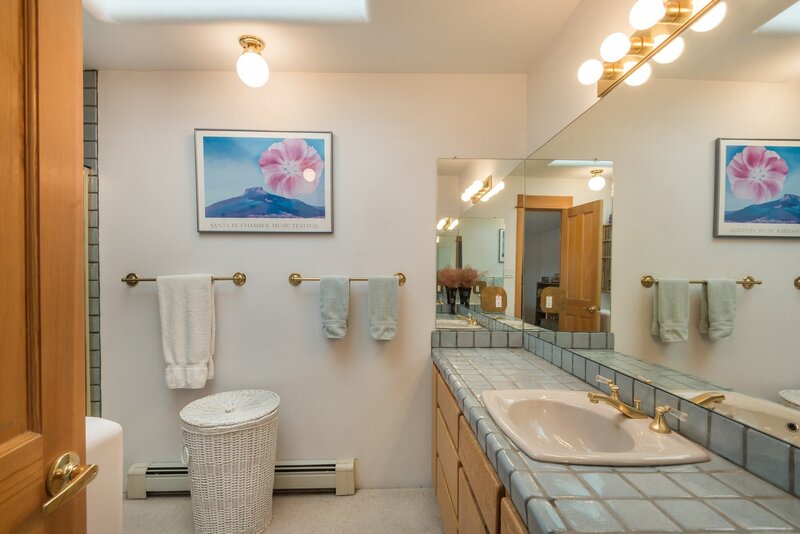 In addition, a bedroom and full bath ar located on the main floor. The home offers easy entertaining with an open floor plan with gracious large dining area next to the living room. 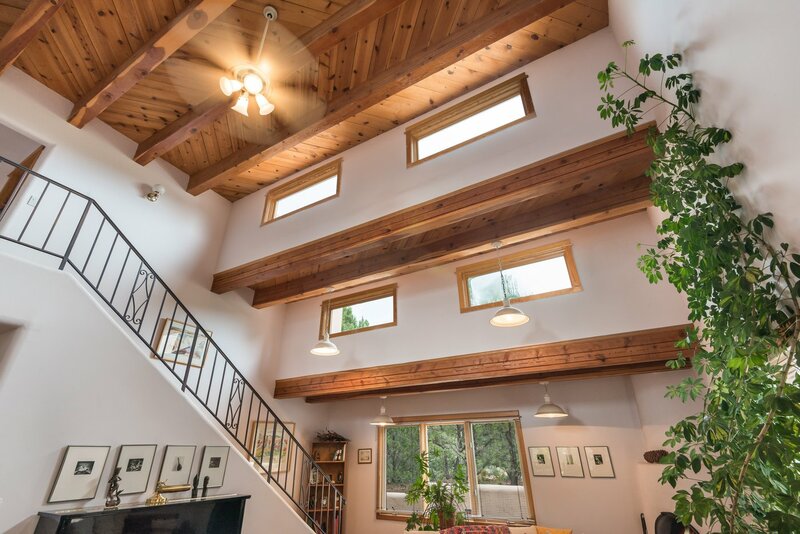 Skylights in the home are plentiful. 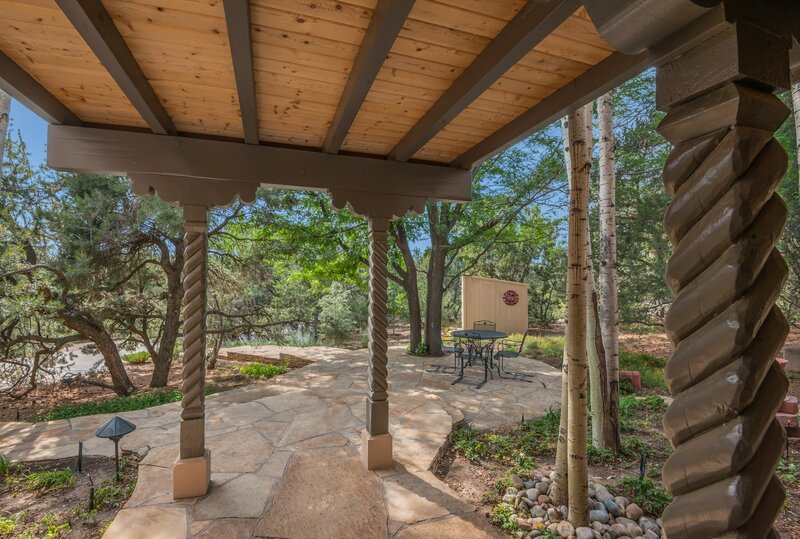 For al fresco dining, there is a covered portal in the trees off the dining area. 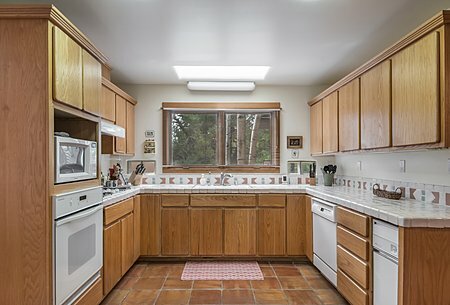 The efficient kitchen offers a gas stove and has an additional small breakfast area.